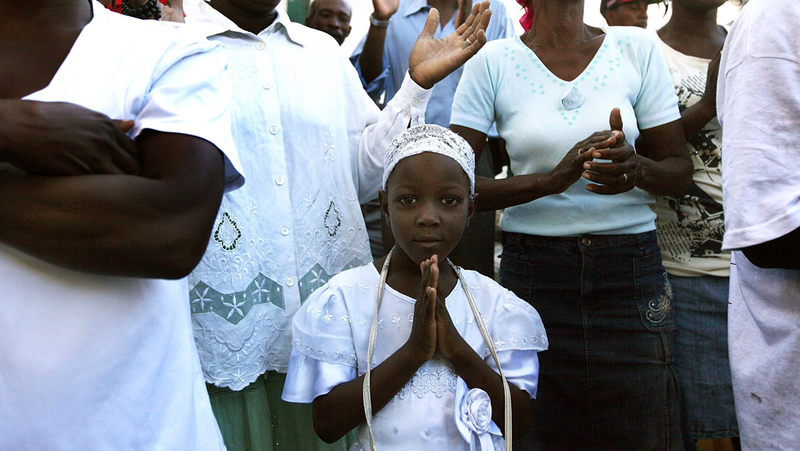 A powerful earthquake rocked Haiti on January 12, damaging not only buildings and roads but the foundation of the Western Hemisphere's poorest nation, which has struggled under decades of coups, corruption and natural disasters. Photographers have turned their lenses to the devastation. 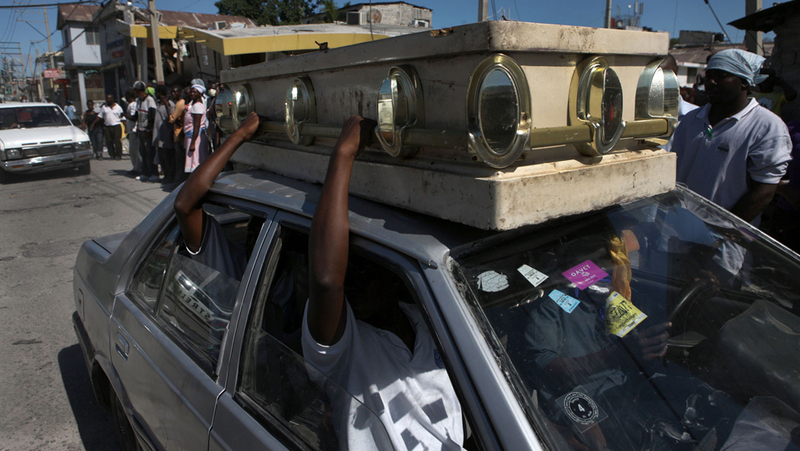 A casket is held to the roof of a car by passengers in Port-au-Prince on Sunday. 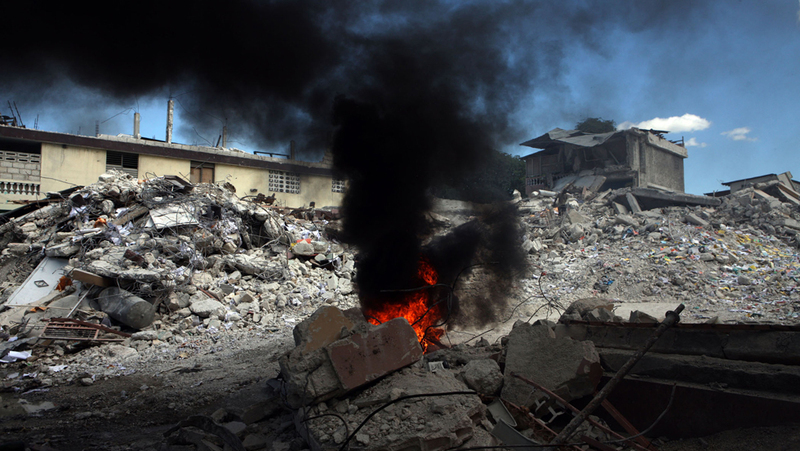 A fire breaks out in the rubble of a destroyed building. 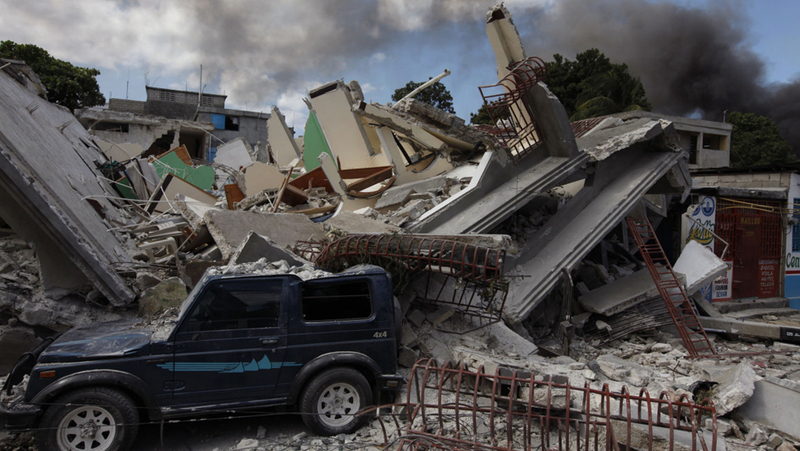 A car sits beneath a pile of rubble in Port-au-Prince on Sunday. 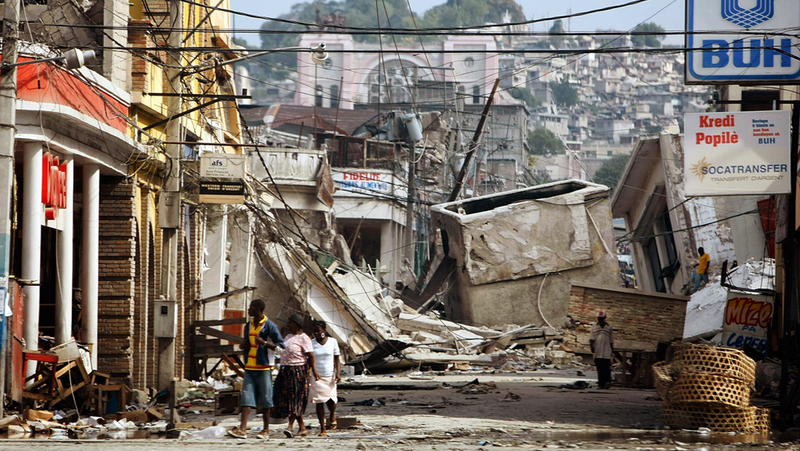 People walk the rubble-filled streets of Port-au-Prince on Sunday. 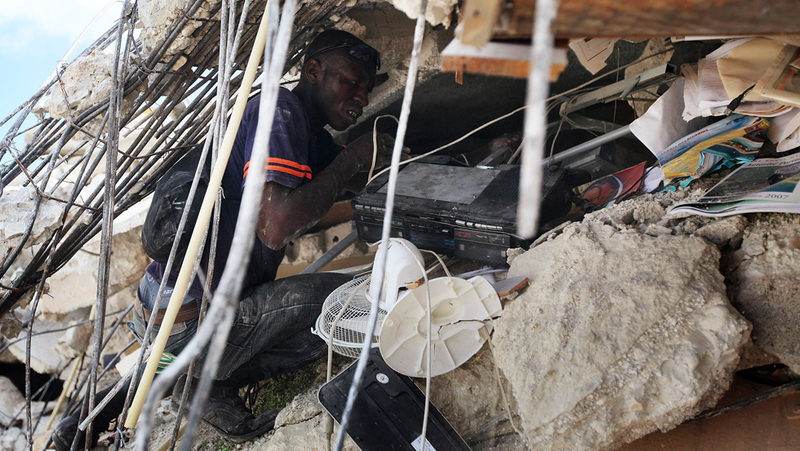 People salvage what they can from the rubble. 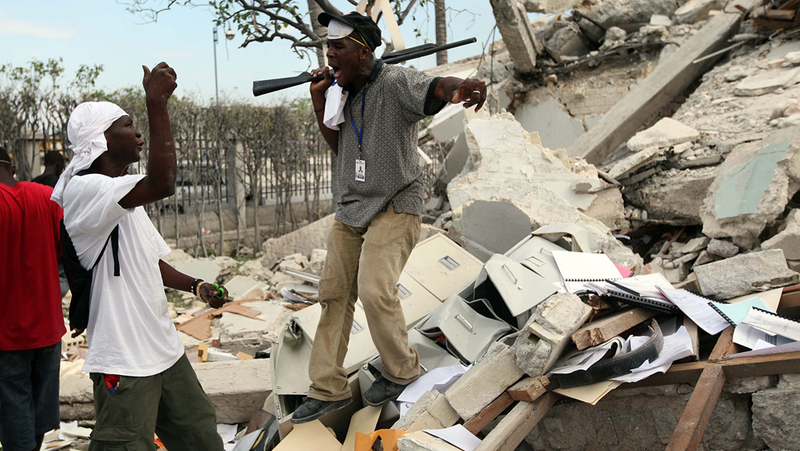 A security officer yells at people trying to salvage what they can from the remains of a building. 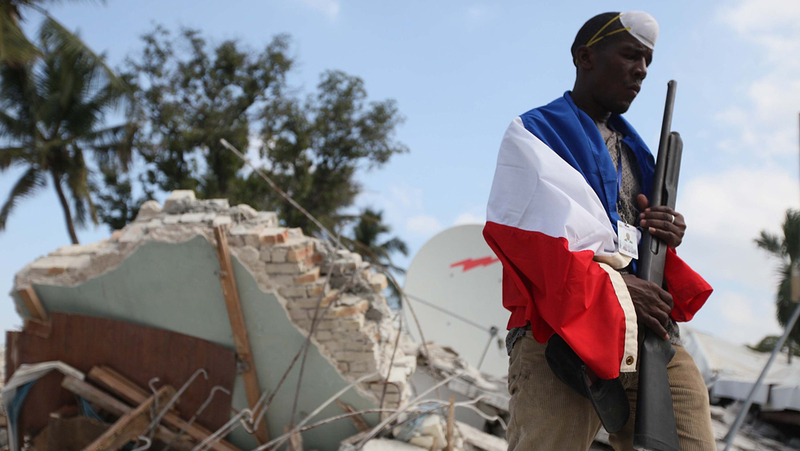 A man guards of the remains of a building in Port-au-Prince on Sunday. 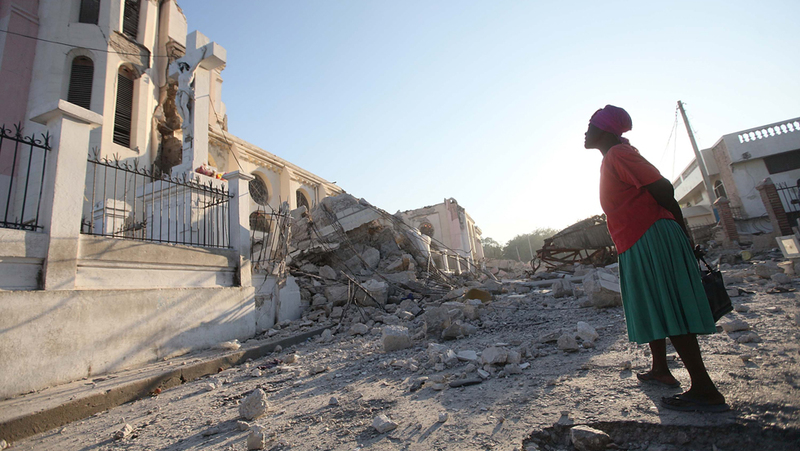 People gather to pray outside the wreckage of the main cathedral in Port-au-Prince. A woman prays to a statue of Jesus outside the cathedral on Sunday morning. 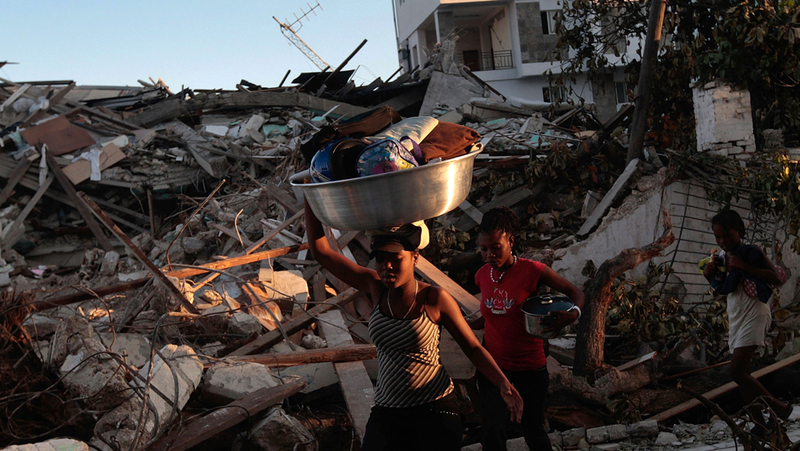 Women carry food and other goods through the rubble Sunday morning.